*CHECK OUT THIS TURBOCHARGED RED CHEVROLET TRAX LT !! COMBINES FUNCTION AND FUEL ECONOMY WITH ALL WHEEL DRIVE !! BACK UP CAMERA, SIRIUS RADIO, HEATED MIRRORS, KEYLESS ENTRY AND MORE ! *Call or Text For Pictures and More Info ! *Jathryn Chappelle @ 403-506-0156*Internet Sales Directorjathryn@reddeertoyota.ca*WE START YOU OUT WITH A FULL TANK OF FUEL ! *We can provide sales across CANADA with delivery available !Ask me about pre-approvals, and overnight test drives ! We work with 14 banks for available finance options ! Pre-Owned 2016 Volkswagen Jetta Sedan Comfortline - Manual ! MANUAL - TURBO CHARGED - EUROPEAN PERFORMANCE ! CHECK OUT THIS 2016 VOLKSWAGEN JETTA COMFORTLINE WITH A TURBO CHARGED 1.4 CYLINDER ENGINE AND MANUAL TRANSMISSION ! METALLIC TOFFEE EXTERIOR WITH BLACK CLOTH INTERIOR - THIS VEHICLE HAS HEATED FRONT SEATS, CRUISE, BACK UP CAMERA, SUNROOF , FOG LIGHTS AND MORE ! 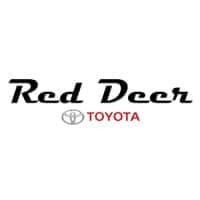 CALL OR TEXT JATHRYN @ 403-506-0156 FOR PICS AND MORE INFO !Jathryn Chappelle - Internet Sales Director - Red Deer Toyota - 403-506-0156 - jathryn@reddeertoyota.caWE START YOU WITH A FULL TANK OF FUEL, AND WORK WITH 14 BANKS TO ENSURE YOU BEST APPROVAL ! WE PROVIDE SALES ACROSS CANADA ! ASK BE ABOUT DELIVERY AND PRE APPROVAL OPTIONS !